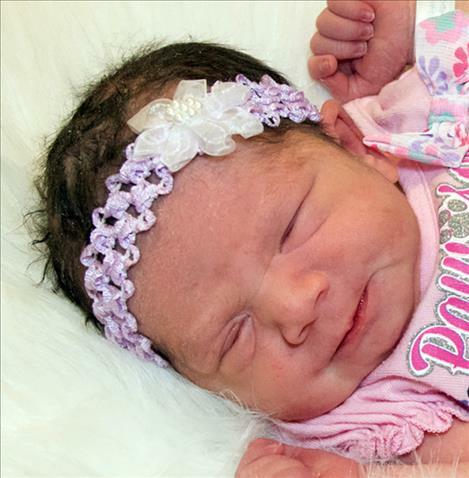 RONAN — Alya Rose Marie Pierce was born Jan. 24 at St. Luke Community Hospital. She weighed 6 pounds, 7 ounces. Parents are Gillian Barnaby and Adam Pierce of St. Ignatius. Paternal grandparents are Chickee and Stan Graham and Connie and Leonard Pierce of St. Ignatius. Maternal grandparents are Debbie Barnaby and Darrell Adams of St. Ignatius. Siblings are Cordae, Taelo, Nyjah, Krugger and Leo of St. Ignatius. 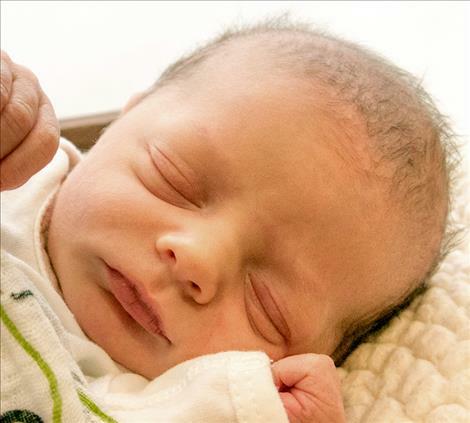 RONAN — Beatrice Rachel Townsend was born Jan. 27 at St. Luke Community Hospital. Beatrice weighed 8 pounds, 6 ounces. Parents are Russell and Andrea Townsend of St. Ignatius. Paternal grandparents are Gerald and Conni Townsend of Wausaukee, Wisconsin. Maternal grandparents are Daniel and Beatrice Jensen of Polson. 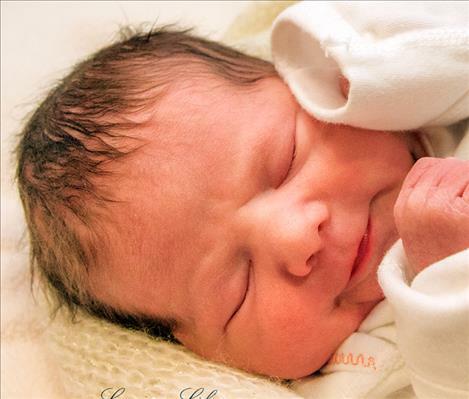 RONAN — Brooklyn Jean Carpentier was born Jan. 28 at St. Luke Community Hospital. She weighed 5 pounds, 7 ounces. Parents are Logan and Tiffany Carpentier of St. Ignatius. Paternal grandparents are Kim and Wes Carpentier of St. Ignatius. Maternal grandparents are Leah and Jerry Fitch. Siblings are Jace, Teylor and Aubrii of St. Ignatius. 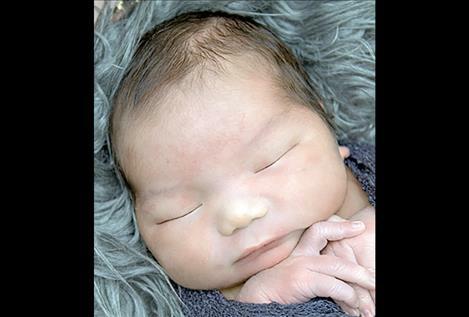 POLSON — Cairo Jay Roberts was born Jan. 21, 2017, at the Nesting Place in Providence St. Joseph Medical Center. He was 20 inches long and weighed 8 pounds, 1 ounce. His parents are Marina Aripa and Stephen Roberts of Polson. His siblings include Keilonni, Josette and Rose. Cairo’s maternal grandparents are Angela Big Crane and Thomas Aripa. Maternal great-grandparents are Louise Wynne and Francis Bigcrane. Paternal grandparents are Rhesa Campbell and Keith Roberts. 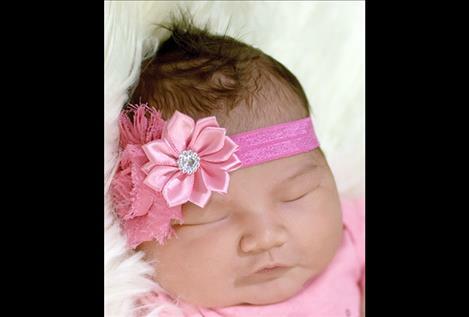 RONAN — Cari Jade Hernandez was born Jan. 28 at St. Luke Community Hospital. She weighed 7 pounds, 9 ounces. Parents are Alycia Shorty and Carlos Hernandez. Paternal grandparents are Traci and Jose Hernandez of Minneapolis, Minnesota. Maternal grandparent is Brenda Curley of Ronan. Siblings are Phoenix, Phanx and Traci. 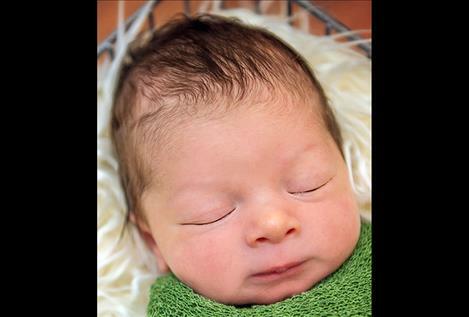 RONAN — Carter Robert Jay Shepherd was born Jan. 7 at St. Luke Community Hospital. He weighed 8 pounds, 14 ounces. Parents are Natasha and Arnele of Montana. Paternal grandparent is Corina Shepherd of Montana. Maternal grandparents are Casey Azure and Robert Pierre of Montana. 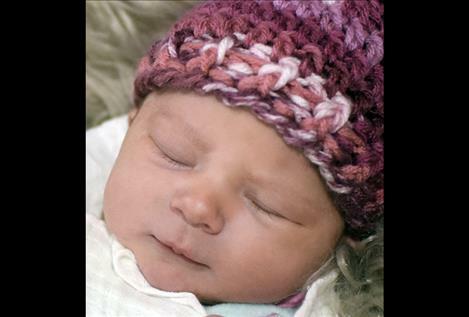 RONAN — Kimberly Dawn Chiefstick was born Jan. 18 at St. Luke Community Hospital. She weighed 5 pounds, 12 ounces. Parents are Jaden Chiefstick and Anabel Friedrich of Ronan. SILVERDALE, WASHINGTON — Luke Mather Nahring was born on Dec. 27, 2016, at Harrison Hospital in Silverdale, Washington. Luke weighed 6 pounds, 15 ounces and was 19 inches long. Brooke and Jerry Nahring of Port Orchard, Washington, are his parents. Maternal grandparents are Kenand Renae Cornelius of Ronan and great-grandparents are Lawrence and Lorraine Cornelius and Al and Joan Sampson of Ronan. Paternal grandparents are Tom and Brenda Nahring of Kalispell and great-grandparents are Jerome and Meta Robidou of Kalispell. 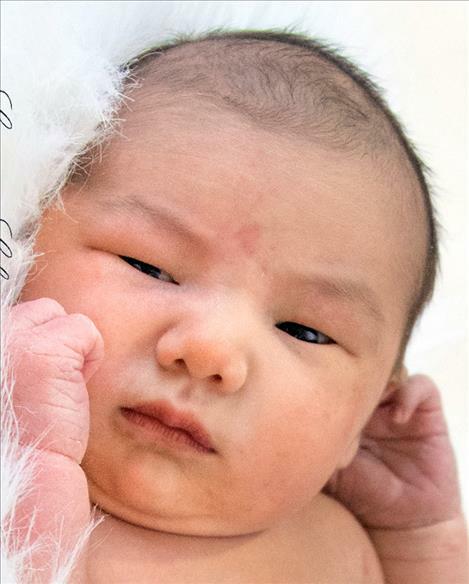 POLSON — Noah Diego Shrives was born Jan. 25, 2017, at the Nesting Place in Providence St. Joseph Medical Center. He was 20 inches long and weighed 6 pounds, 11 ounces. Noah’s parents are Nathalia and Steven Shrives of Polson. Maternal grandparents are Sheila and Ronaldo Gonzaga. Paternal grandparents are Peggy and Mark Shrives. 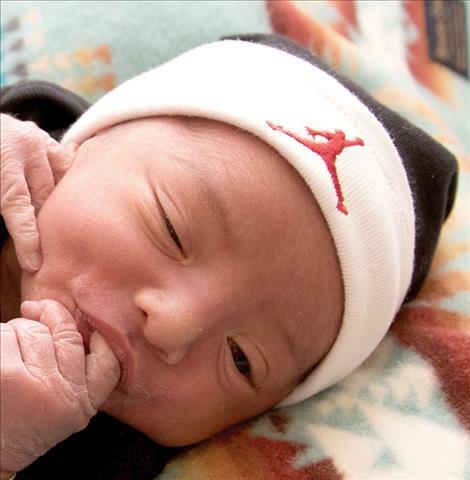 RONAN — Oriah Douglas James Tapia was born January 27th at St. Luke Community Hospital. 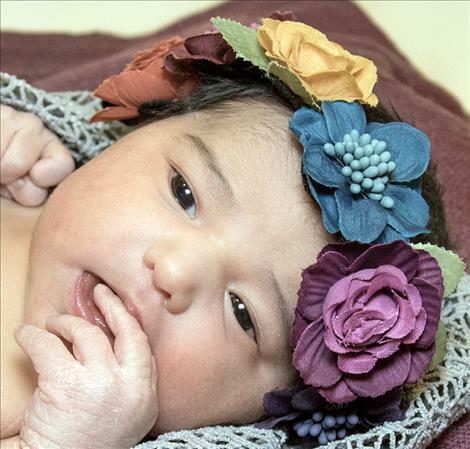 He weighed 6 pounds, 14 ounces and joins sibling Leilani Tapia. Parents are Zachariah and Margaret Tapia of Polson. Paternal grandparents are Douglas Tapia and Theresa Tenney of Polson. Maternal grandparents are William (Billy-Bob) Lafley and Stacey Two Teeth of Arlee. 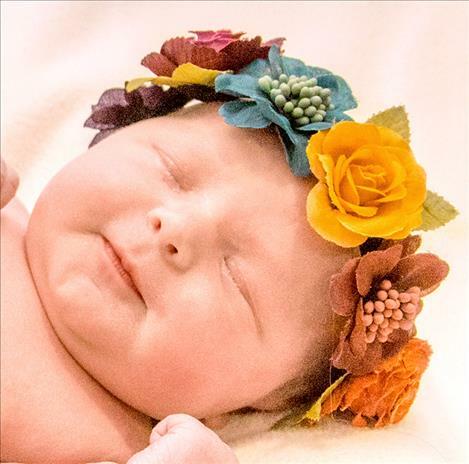 RONAN — Skyla Jhyn Hesselgesser was born Jan. 17 at St. Luke Community Hospital. She weighed 9 pounds, 2 ounces. Parents are Ryon Hesselgesser and Shawnee Spotted Eagle of Pablo. Paternal grandparents are Ron Hesselgesser and Suzanne Kinkade of Pablo. Maternal grandparents are Emerald Spotted Eagle and Winona Tanner. Siblings are Ryu and Raielyn Hesselgesser of Pablo. RONAN — Vern Edmond Cheff V was born Jan. 24, at St. Luke Community Hospital. Parents are Vern Edmond Cheff IV and Bridgett Cheff of Ronan. Paternal grandparents are Vern and Cheri Cheff of Ronan. Maternal grandparents are Dan and Jan Lake of Ronan.